Studio Etica is a boutique consultancy that provides advice on corporate ethics and compliance programs to companies around the world. We are dedicated to working with our clients to design, maintain and optimize world-class programs with a focus on a strong, values-based culture. Studio Etica focuses on helping organizations achieve cultural transformations that not only drive legal compliance but lead to enhanced integrity and positive behavioral change. We are convinced that ethical culture is central to the meaningful compliance program that delivers actual results. Studio Etica consultancy is run by Vera Cherepanova, a former Regional Compliance Officer and author of 'Compliance program of Organization'. Vera’s background includes working on-the-ground in Eastern Europe, CIS and Russia, one of the key emerging markets. Taking her experience in addressing cross-cultural challenges of ethics and compliance, Vera currently consults with international corporations, non-profits, wholesale and retail establishments, and small-to-large businesses, advising them on E&C programs. Vera speaks Russian, English, French, and Italian. Studio Etica has been featured in print, including such well-respected publications as the Wall Street Journal, FCPA Blog, Compliance and Ethics Blog, Ethikos Magazine, InCompliance Journal and Corporate Compliance Insights. In 2011 and 2016 Vera Cherepanova was awarded for "Best Compliance officer" at the International Compliance Association in Compliance Awards. For a PDF giving more details of our services, please click here. Many companies realize the importance of a proactive ethical stance, yet they still struggle to understand and measure in a reliable way what’s behind this ‘e-word’. With our proprietary methodology backed by years of behavioral research, we tap into the key ingredients that make up an ethical culture and highlight the areas companies must address if they wish to build a genuine focus on ethics. Whistleblowing is a complex phenomenon with retaliation being its strongest deterrent. We work with companies to create a supportive environment inside the organization to foster speak-up culture and deter any forms of retaliatory measures in full compliance with national whistleblower protection and data privacy laws. Conducting/supervising your global internal investigations, we will make sure you apply the knowledge gained to enhance your E&C program. We conduct E&C training at all organizational levels, with each training tailored to your company’s specific needs. We deliver in-person training on a variety of compliance and ethics topics, from Anti-Bribery to GDPR compliance. Our training approach incorporates the results of behavioral ethics experiments. This thought-provoking perspective makes compliance message more compelling, engaging and memorable. Today no organization can afford to ignore the risk of bribery. We take a holistic approach to tackle anti-corruption challenges and offer a comprehensive range of services, including risk assessments, training, third-party due diligence and world-class program design, implementation and optimization that will meet and exceed the expectations set by US FSGO, national regulators, and ISO 37001 Anti-Bribery Management Systems. We provide an objective third-party perspective on E&C programs, internal processes, and controls. These include design and implementation of new programs, review and optimization of ongoing programs, as well as accompanying risk assessments and training of compliance officers and other stakeholders. Our strategic review gives a clear picture of where your program is excelling, and where it has the potential for improvement. GDPR has an extensive impact on the whistleblowing process. Because individuals gained new or expanded privacy rights, organizations will have to consider how to balance them against the needs to pursue internal investigations and address the wrongdoing. We will help you cut through regulatory ambiguity and make sure your incident management program is compliant with the new data processing routines while the privacy rights of your employees are not compromised. Vera Cherepanova is the author of the first and still only book on compliance in the Russian language, ‘Compliance program of an organization’, a hands-on guide for compliance professionals on how to build a first-class compliance program. 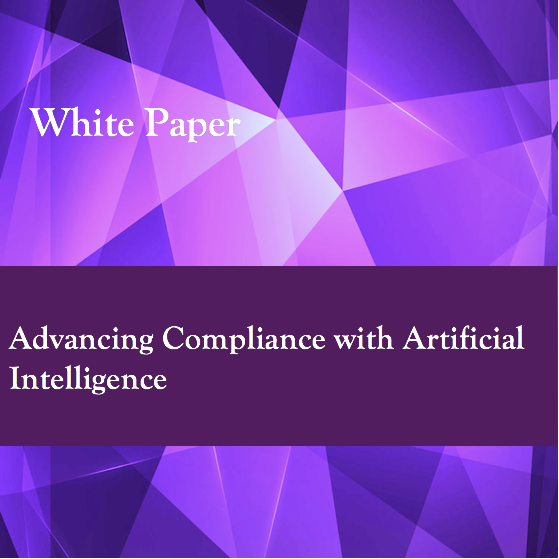 This step-by-step practical guide shows how to prevent, detect and react on violations of compliance and ethical requirements taking into account key international and Russian legislation, enforcement trends, as well as best practices of large multinational corporations. In 2017 the book was nominated for the «Business Book of the Year» award at PWC. It is currently used by several prominent universities around the country as the main textbook for compliance-related disciplines.